We buy alot of those baby food squeeze pouches. They can get expensive as the baby loves to eat out of them only and will not let us feed him baby food from a jar. 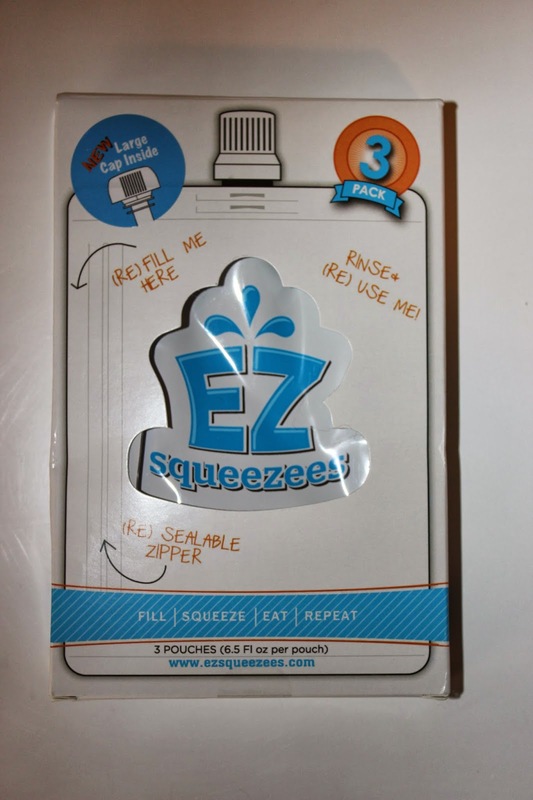 I tried out a 3 pack of EZ Squeezees with large lids and it retails for $9.99. The 3-pack is one of the basics that every parent needs as their child begins to eat pureed foods like apple-sauce and yogurts. Open your EZ Squeezees pouch, rest it on the gusset and you have hands free filling- we know how an extra hand can mean the world when you have a small child. Now with a new large safety cap for the smallest of children to use. 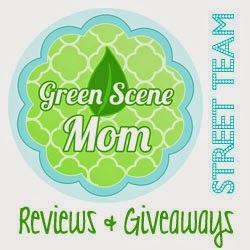 They are so easy to use and they are freezer and dishwasher safe. They have no BPA or Phthalates. They can be used about 15 times each they say but I have been using mine alot and I have never counted the times I have used them. I guess you can keep track bu writing what is inside on the back of the pouch. EZ Squeezees unique Patent-Pending design not only saves the environment, but also saves you money too! 1. The large, zippered side of the EZ Squeezees pouch opens the entire length of the pouch, allowing you to easily fill your pouch with homemade or store-bought food. The opposite-side of the pouch has a large gusset that allows the pouch to expand to hold even more goodness. To use: Simply open the zipper & expand the gusset, rest your EZ Squeezees standing up on the gusset-side and you have hands-free filling. 2. Pinch along the zipper close. I know you are thinking, "Is this thing going to hold?". The answer is "YES." We designed EZ Squeezees with the strongest zipper we could find. We have personally never had a zipper open unintended and all of our customers have agreed that the zipper is strong and secure. 3. Probably the easiest step, simply hand it off. If your child is already eating from pureed food pouches, he or she will have no problem using EZ Squeezees. Unlike other manufactures, our spout is exactly where your child is used to it being- centered on top, not off to the side. We are confident there will be zero learning curve. 4. Rinse your pouch. 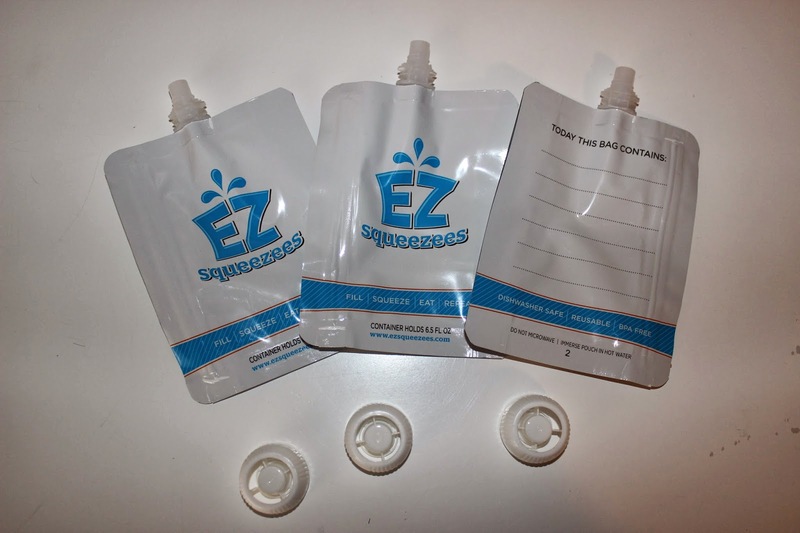 Many people will feel the need to place your EZ Squeezees pouch in the dishwasher (and you can! ), but we think you will be pleasantly surprised that simply running hot water through your pouch will be enough. For stickier or dried leftover food, using a bottle brush can be helpful. The non-stick inner layer allows any left over food will simply rinse out through the spout. One lucky TTGG follower will be winning a EZ Squeezees starter pack. I'd love to try these because they would save me so much money! I made my own baby food for my first child, and while the pouches were convenient for car rides, etc., I wish I would have been able to use my own food in a pouch to avoid having to buy the expensive pre-made pouches. i make all my own baby food... it would be so handy to be able to bring it with us easier on the road!